The third edition of Southern Women relays the historical narrative of both black and white women in the patriarchal South. Covering primarily the years between 1800 and 1865, it shows the strengths and varied experiences of these women—on plantations, small farms, in towns and cities, in the Deep South, the Upper South, and the mountain South. It offers fascinating information on family life, sexuality, and marriage; reproduction and childrearing; education and religion; women and work; and southern women and the Confederacy. 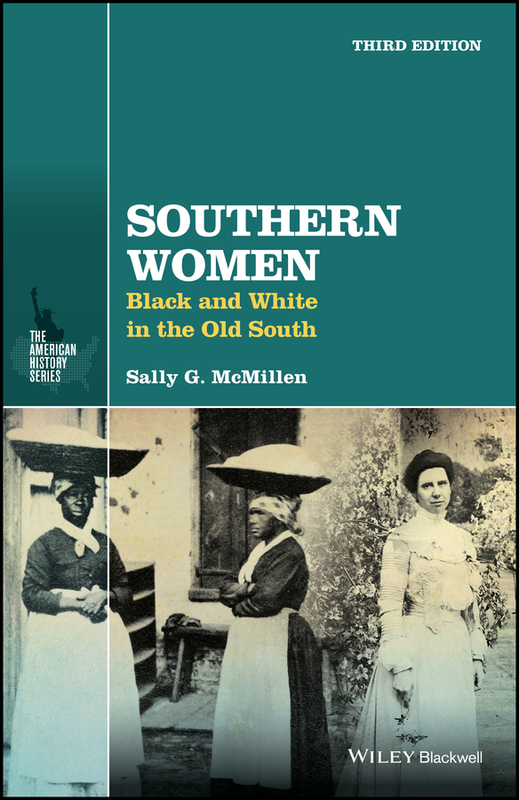 Southern Women: Black and White in the Old South, Third Edition distills and incorporates recent scholarship by historians. It presents a well-written, more complicated, multi-layered picture of Southern women’s lives than has ever been written about before—thanks to its treatment of current, relevant historiographical debates. The book also: Includes new scholarship published since the second edition appeared Pays more attention to women in the Deep South, especially the experiences of those living in Louisiana and Mississippi Is part of the highly successful American History Series The third edition of Southern Women: Black and White in the Old South will serve as a welcome supplementary text in college or community-college-level survey courses in U.S., Women’s, African-American, or Southern history. It will also be useful as a reference for graduate seminars or colloquia.